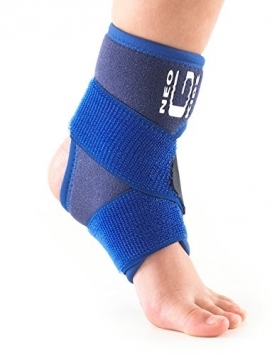 Neoprene support, suitable as a gymnastics ankle support. 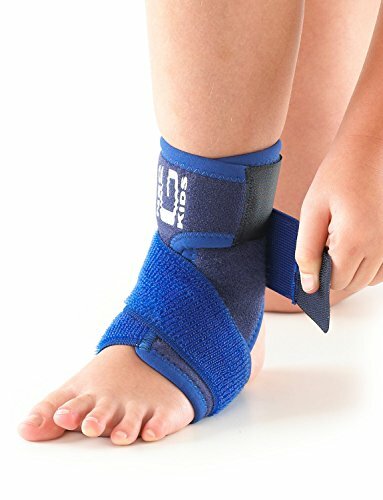 The Neo G Kids Ankle Support with figure of 8 strap is specifically designed for the younger wearer and helps provide dynamic support around the ankle complex. 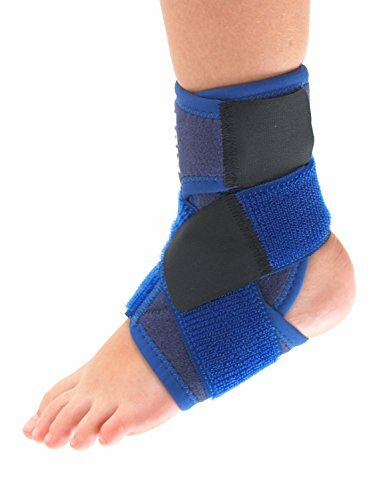 The adjustable figure of 8 strap helps provide added support and compression during sporting and recreational activities. The support helps to reduce excessive planterflexion as well as inversion and eversion of the ankle all of which are associated with ligamentous injuries and instability of the ankle. 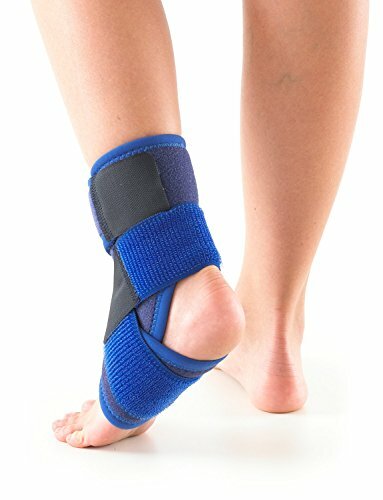 The durable, heat therapeutic neoprene helps warm muscles and joints, helping with arthritic ankles and chronic aches and stiffness. Available in universal size and navy blue colour. The indications outlined may not be suitable for your childs condition, before use always seek medical advice from a doctor. 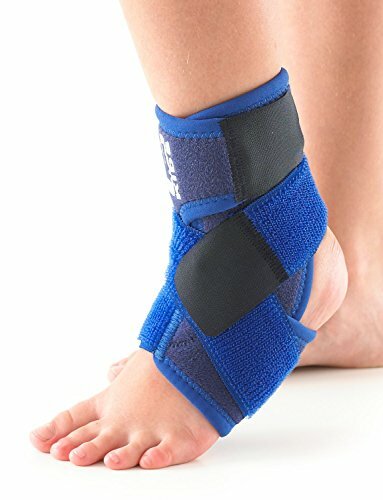 Always take advice on duration of usage/check with your child that the product is not uncomfortably tight and blood flow is not restricted. Avoid wearing for prolonged periods (e.g. Whilst sleeping)/only use on clean, intact skin. Do not use if your child has a known allergy to any of the specified materials/do not use if liniments, ointments, gels, creams or any other substances have been applied to affected area/the product should be applied as illustrated, with adult assistance and/or supervision/if your child develops a rash, pain is prolonged or conditions worsen, discontinue use and consult a doctor.